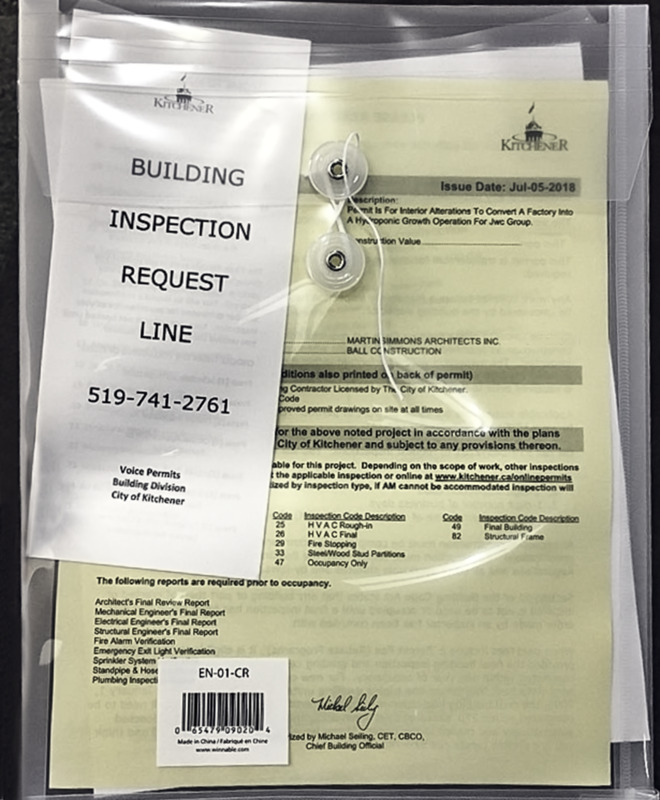 Tuesday, July 10th, 2018 JWC received main building permits for their second cannabis cultivation facility, that will be operating out of the former Lear manufacturing plant located at 530 Manitou Dr, Kitchener, Ontario. This substantial facility addition, referred to as JWC 2, will be the production and office headquarters of James E Wagner Cultivation. With the city building permit issued, JWC will be able to make construction advancement of Phase 1. The first phase will include the following: one large vegetation room, eight flowering rooms, one trimming and processing room, one drying room, one destruction room, one secure storage room, and one manufacturing and machinery shop. The forecasted high-level of production is reflecting the need for a rapid pace of construction expected to take no more than 12 weeks to complete. "In our industry, time matters a great deal. We're under a lot of very tight deadlines." The retrofitted facility will consist of 345,000 square feet of approximately 130 state-of-the-art production rooms. Flowering rooms will be completed in groups of eight with the first crop harvest anticipated for late 2018, and completion of JWC 2 sometime in 2019. The expansion of JWC's production has been in preparation to meet demands for the approaching federal legalization of cannabis later this fall. The corporation is forecast to employ more than 450 employees to produce high volumes of aeroponically grown cannabis to cater to the expanding market. "We know we need to drastically expand the basis of production in order to be able to meet the needs of Canadians as they approach the recreational market."